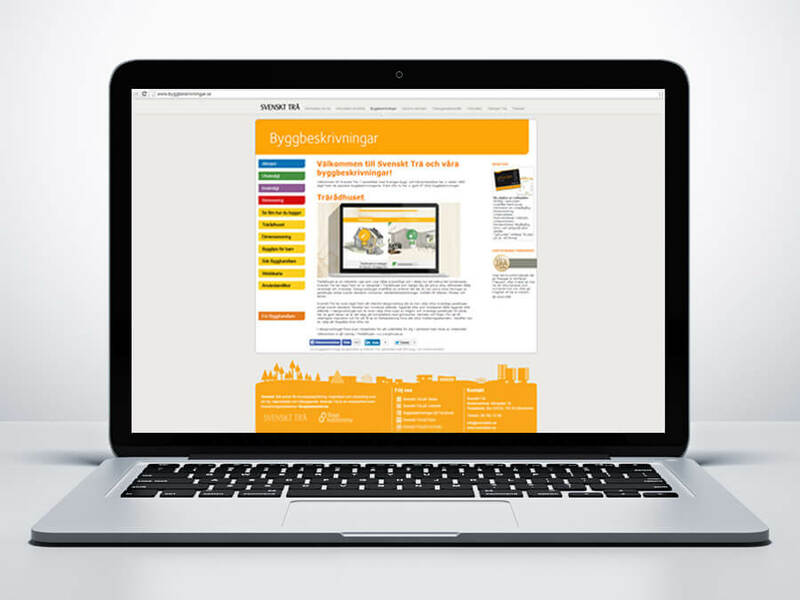 For about 15 years, Elecosoft has developed the website byggbeskrivningar.se together with “Svenskt Trä”. Svenskt Trä is a part of the Swedish Forest Industries Federation. They promote knowledge, inspiration and development relating to wood, wood products and wood construction. A part of this is to produce and distribute building descriptions. The effort to develop the building instructions started in 1983. In that time they were on paper and distributed by post. In 2000 Svenskt Trä contacted Elecosoft. They wanted Elecosoft to develop how the building descriptions could look on web. Elecosoft developed interactive building descriptions. More recently, the website also include the possibility to make design load on Web. The cooperation also led to that Elecosoft developed the website byggbeskrivningar.se. – We have had a partnership with Elecosoft for 14 years. I’m very pleased with Elecosoft and the service we received throughout the years. It all started when we needed help to develop blueprints for the building descriptions. The project has evolved and today there are links to software Bidcon and Statcon on byggbeskrivningar.se, says Johan Fröbel, advisors wooden and laminated timber products at Svenskt Trä. Sven-Erik Lindfors works as a developer at Elecosoft. He has been involved in the project since 2003. – I have been involved since the beginning of this project. The site Byggbeskrivningar.se is continuously developed and visitor numbers are steadily increasing. The page had almost 500 000 visitors last year. – The website byggbeskrivningar.se is user friendly and a good tool for construction projects. Svenskt Trä has done a great job and it feels good that we have been able to cooperate for so long. Allan Forslund, CEO Consultec Architects and Designers. The interest in building projects at home is something that has grown in Sweden in the recent years. This may be one reason for the increase in visitors to byggbeskrivningar.se.